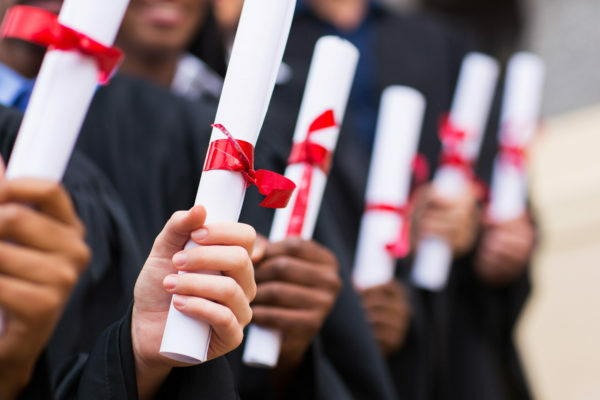 To grad school, or not to grad school, that is the question.With nearly 2 million people in graduate programs in the US, the grad school dilemma is one that many students find themselves pondering at one point or another. Many universities, have joint or continuing education programs, like Georgetown’s Early Assurance Program or UChicago’s Booth Scholars. One option is an accelerated joint program that you apply to when you apply to a particular college while in high school. In this option, in about five to six years you can complete both your bachelor’s degree, as well as an additional graduate degree. Another option is that when you are in your junior or senior year you can apply directly to one of your university’s graduate program, potentially bypassing some standardized testing requirements like the LSAT or the GRE. Make sure you do your research about what your college offers when looking into grad school! Looking for more advice? Check out our article on applying to business school here. School is tough, and so is grad school. To take some hassle out of deciding the right path for you, sign up for free to receive personalized career data, tailored specifically to you.